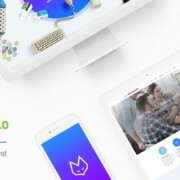 The first WordPress freebie featured in our collection is powered by Cherry Framework 4.0, an open source WordPress theme framework with a modular structure. When it comes to customization, the framework allows users to switch off unnecessary options to facilitate and accelerate the whole process. As for the theme itself, it’s easy to install and easy to work with. 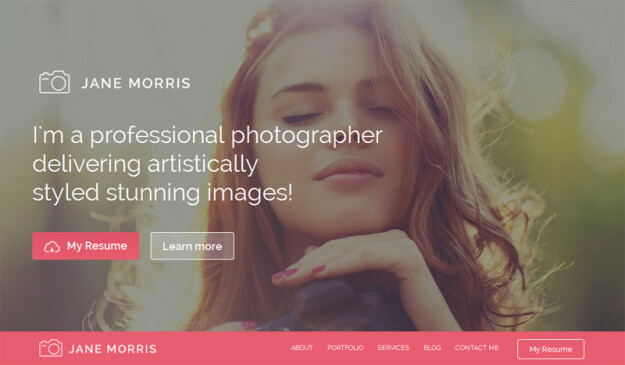 It can be a perfect choice for a portfolio site, a personal blog or a business site. This free WordPress theme boasts a well-structured, clean design that’s ideal for art, photography, fashion, beauty – literally almost any niche. It incorporates all the essentials for your business presence – multiple typography options, custom post types, widgets, gallery, audio, video, etc. The theme has a strong visual side presented with a large hero area, vibrant color accents, parallax effect and other features. Valid coding, intuitive admin interface and two-step installation makes this freebie perfect for everyone who needs an easy-to-use solution. 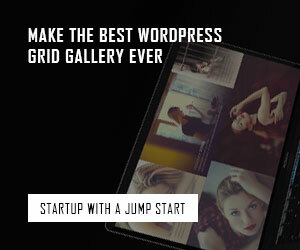 The design of this WordPress freebie is based on a tiled/grid layout, which allows for an elegant showcase of your content. Its navigation is presented with a burger menu giving a quick access to links to your website pages and social media accounts. For convenience, it always stays in view while the user page scrolls down. 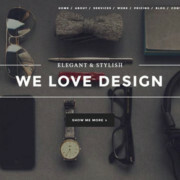 Here is a free blogging WordPress theme designed in the a clean, minimalist style. It comes with a responsive layout, dropdown menu, multiple social options, video integration, custom backgrounds, and much more. Parallax One features an easy-to-use admin panel to control multiple settings such as colors, logo, social links, and layout. 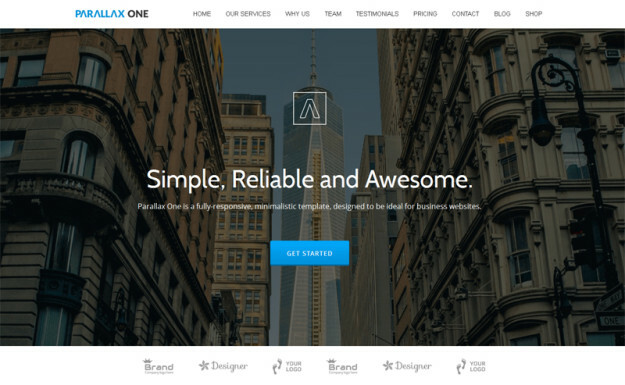 As the name suggests, this one-page business theme comes with parallax scrolling functionality. There are also unlimited color options, Google Map integration, and many other options that will come in handy for the presentation of your business. The theme is also localized, which means you can translate it without touching the source code. 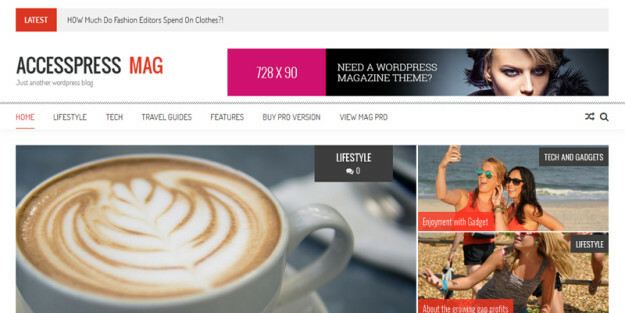 AccessPress Mag is a free, SEO-friendly theme that offers different layout structures, particularly boxed, full-width, with sidebars and sidebar-free. Its feature-rich pack contains a nested commenting system, featured post sliders, CSS3 animations, breadcrumbs, counters for post views and comments, etc. As the theme is compatible with WooCommerce and bbPress, you can add eCommerce and forum functionality to your site easily. 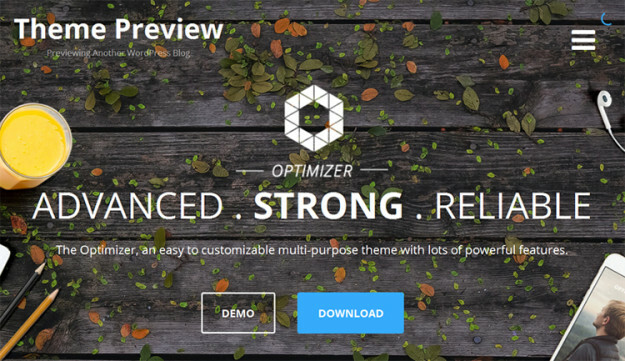 Optimizer is a responsive and retina-ready solution with multiple features, including 600+ fonts, unlimited colors, sliders, and two layout options, such as full-width and boxed. You can also take advantage of compatibility with MailChimp, bbPress, Contact form 7, and WooCommerce. This free multi-purpose WP theme is intended for business sites, online portfolios, web stores, personal pages, etc. MotoPress Content Editor is a cool addition to the default WP editor. This front-end tool allows users to build web pages in a code-free manner, by simply dragging and dropping. The editor comes with more than 30 built-in content elements and mobile-ready layouts. It is compatible with all WordPress themes and is available in 11 of the most spoken languages. Swifty Bar is a free WordPress plugin meant to attach a sticky bar to the bottom of the page. While scrolling, it’s always in view. The bar displays the main details of the post including its category, title, author, number of comments and approximate time required to read it. There are also social share buttons and links to previous and next posts. The plugin is lightweight, so won’t slow down the performance of your site. AccessPress Social Share is a free, mobile and user friendly social sharing WP plugin. With its help, you can easily share different types of content, e.g. posts, media, etc., across all major social channels. There are also options to print the post or to share by email. The plugin is easy to use – just select your social accounts for activation and choose from 5 pre-designed themes. It’s also possible to display share buttons anywhere on your site via a shortcode. This free tool allows you to roll back or forward any plugin or theme available at wordpress.org to the previous or latest version. Just choose the necessary version, and this plugin will automatically deliver it to you. In that way, you can be free from any tiresome manual actions, e.g. downloading files, unzipping archives, etc. This free WP plugin will optimize your website comments and facilitate their management. It comes with a lot of options, particularly clean comment notification emails, redirection of first-time commenters to a thank you page, and comment parent ID changing. This plugin is meant to create a user-friendly HTTP REST API. In such a way, you can access different data of your site, e.g. posts, taxonomies, users, etc., in the JSON format. The plugin also makes it easy to retrieve and update the aforementioned data. In general, it features easy-to-use interfaces for WP query, posts, post meta, users, revisions, and many other APIs. Give is a robust plugin that allows you to accept donations on your WP-powered site. Its backbone is based on forms for single, custom and multilevel donations. To manage them with ease, the plugin is equipped with many powerful features. They include PayPal standard and offline payments, customizable events, zero commission charges, goal tracking per form, etc. 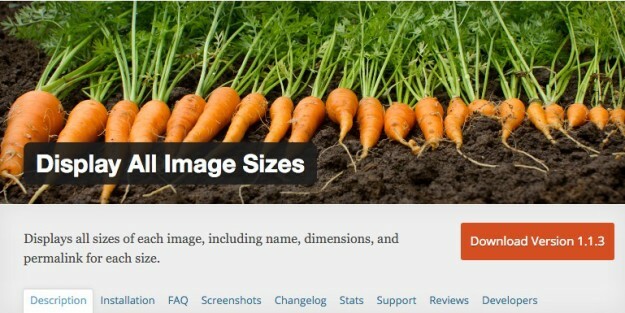 When you upload pictures to a WP-powered sites, the CMS automatically generates their sizes. This plugin is a modern solution to such a problem. It shows all the available sizes of each image. With its help, you can check the details of each image size, particularly its name, permalink, and dimensions. A2 Optimized is a free WP plugin meant to speed up your site with just a few clicks. With its help, you can configure W3 Total Cache automatically to provide the best website performance in common hosting conditions. 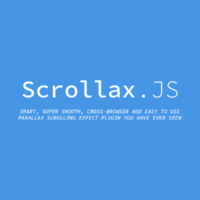 The plugin also enables you to minify HTML pages, CSS and JS files for faster page loading. Before transferring files, you can compress them in the GZIP format using W3 Total Cache. 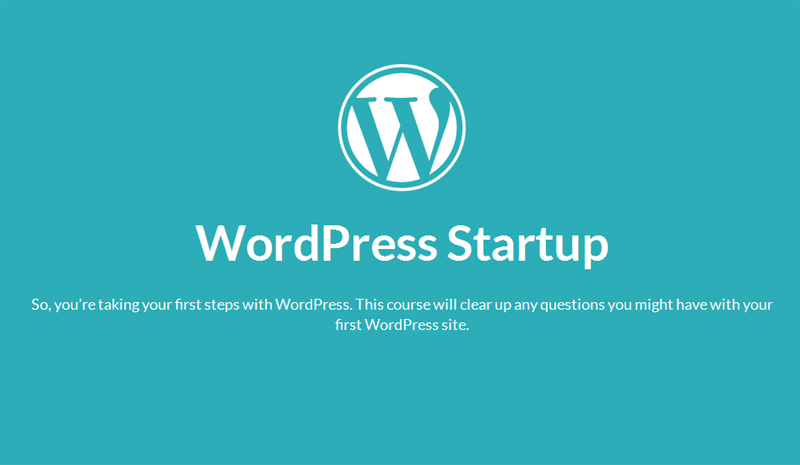 The first tutorial featured is WordPress Startup. This comprehensive resource highlights a lot of critical aspects for beginners, namely the choice of hosting, setup of a WP site, installation of a WP theme, search engine optimization, must-have plugins, etc. This tutorial also gives detailed answers to the important issues of customization and security of WP sites. Keep in mind that WordPress Startup is a part of a new educational project, Startup Hub. This project is intended for everyone who wants to launch a site, not just WP users. The tutorials featured at Startup Hub reveal the basics of website creation, and explain how much it costs to start a new website, how to choose the right platform for your website, how to find a reliable web hosting and a good domain name, how to build an e-commerce site, how to choose the right theme/template for your site, etc. Transferring a WP site to another location may be a risky undertaking. But by using this step-by-step guide, you can do it securely, without any data loss. It reveals the issues of how to back up both your files and database, export them from an old site and import to the new one. If you want to move your content partially, you can also read about that process in this tutorial. You can also read the guidelines on optimizing its speed and security by means of plugins and widgets. In conclusion, you’ll find more resources to move your site forward beyond the basics. This beginner-friendly guide consists of easy-to-follow steps on how to create your first website with WordPress. In this tutorial, you can learn how to choose the right platform, hosting provider, and domain name for your future site. You will also be taught how to configure it the way you need. According to the estimates, you will have an opportunity to build a fully-fledged and mobile-friendly site within one hour if you use this instructional resource. This WordPress tutorial can help beginners create a WP site in just a few days without coding. Its step-by-step instructions are divided into 5 parts. The first two highlight the initial stages of website building, i.e. the choice of hosting and domain followed by the installation of WordPress and WP theme. The third and fourth parts guide the reader through the customization of both the theme and content and reveal must-have pages, menus, plugins, and other usable tools. The last part gives advice on various SEO issues and content promotion in web directories and social networks. If you’re building a membership site, this guide will come in handy. It covers all the fundamentals of membership sites and the procedure of building them with the help of WordPress. The tutorial is composed of easy steps on how to get the right plugins and create additional user roles, locked content, custom menus as well as front-end registration, login, and profile editing. 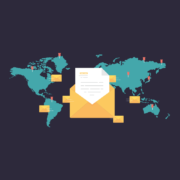 In this illustrated guide, you can also read about customization of email messages and redirects. This guide is composed of 22 tried and tested techniques that can reduce the loading time of both complex and simple web pages. They are divided into 2 categories, namely general and development-related speed enhancers. In the first category, you can learn how to update your CMS and core technologies, remove unnecessary plugins and UI elements, optimize your database and imagery, etc. The first category provides instructions on how to minify files, load scripts in the footer, decrease and optimize queries, etc. All these actions can help you improve your website loading time dramatically. Many people extend the WP core with plugins, and this tutorial will guide you through the process of creating such a piece of functionality. It consists of 2 parts, where you can find the info about plugin structuring and tips on how to create a setting page, add custom input fields and make it translatable. What’s more, it’s possible to add more complex input types as well as save and update them. At the end of the tutorial, there is a section detailing the creation of functions that can change the behavior of your theme or website backend. 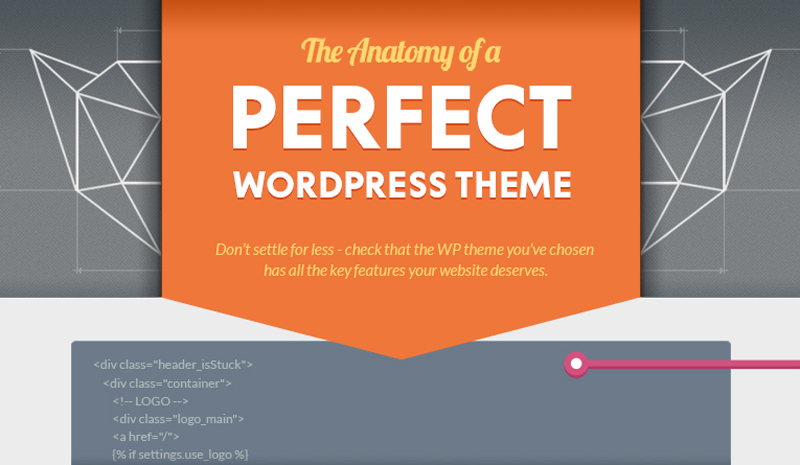 This well-structured infographic can help you find out whether your WP theme has everything your site needs. It unveils resources to test your theme for responsiveness, valid coding and SEO-readiness. There is also an all-inclusive checklist of both front-end and back-end aspects to take into account while choosing a good theme. At the bottom, you can also find a number of essentials to help you with the theme installation and customization as well as a cool bonus. Would you like to build a successful WP-powered site from scratch? Then, check this comprehensive infographic highlights 101 steps on how to do it. The steps are divided into sections that give a detailed overview of the following aspects: pre-development, development, launch, SEO, security, and maintenance of a WordPress site. 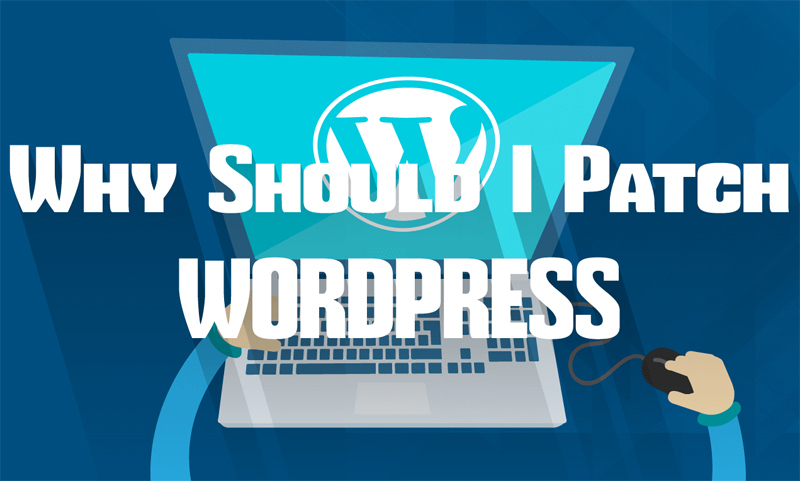 Why Should I Patch WordPress? 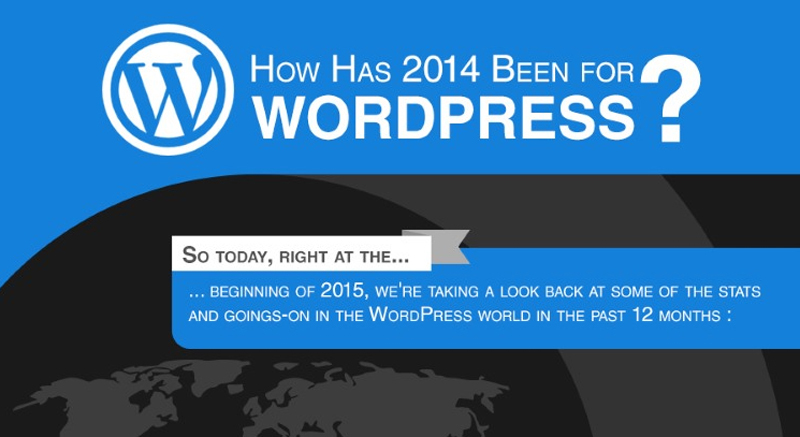 This colorful Infographic is focused on the major WordPress releases and updates. The data is compared with other engines such as Joomla, Drupal and Magento. 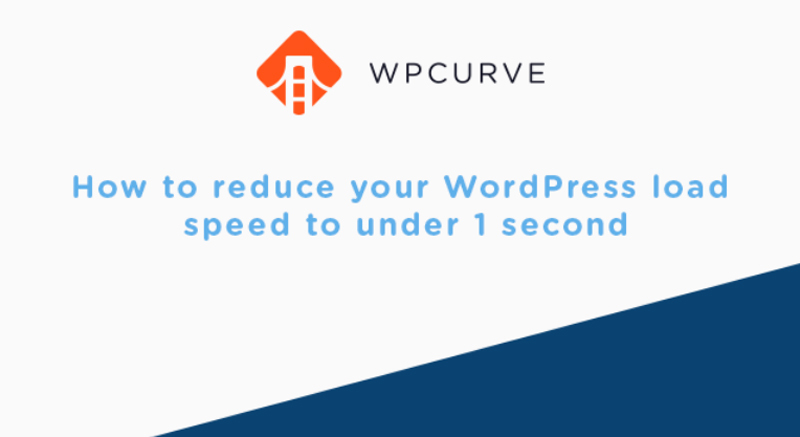 If you want to optimize the load time of your site, this WordPress Speed Infographic will be helpful to you. It can guide you through multiple issues, from the benefits of a fast site to the factors influencing its speed. This Mega Cheat Sheet serves as a checklist of useful keyboard shortcuts and PHP snippets for WP. There tags meant comments, posts, menu, login, time, attachments, permalinks, and other purposes, and template tags for basic files, the header, navigation menu, and much more. 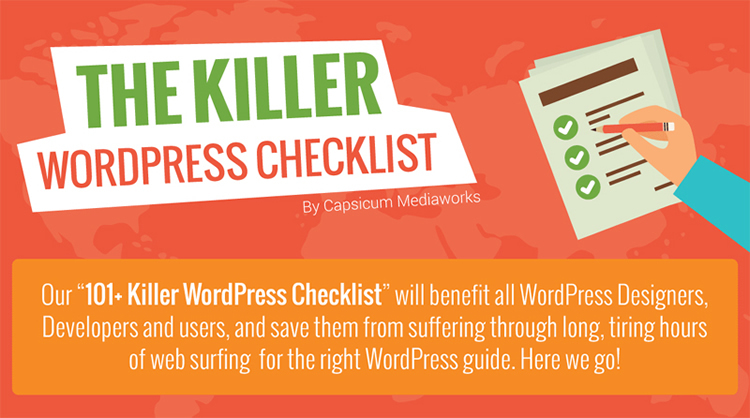 This stats-packed infographic is recommended for anyone interested in the power of WordPress and its scope of reach. It reveals curious statistics for WP usage, e.g. the number of WordPress sites frequency of new version releases, number of daily downloads, etc. We hope you’ve found a useful freebie for your WordPress-based project in our collection. Do you know some other WP freebies of decent quality or any other kinds, not necessarily themes, plugins, tutorials and Infographics? If you do, feel free to share them in the comment section with us and our audience!